As we become adults our roles with our parents start to reverse. It’s subtle at first. Instead of reacting to everything your parents say as if you were their child, you start to respond by shaking your head and may be wondering what you can do to correct their thinking. It’s normal and even healthy – unless there is some baggage in that head shake. 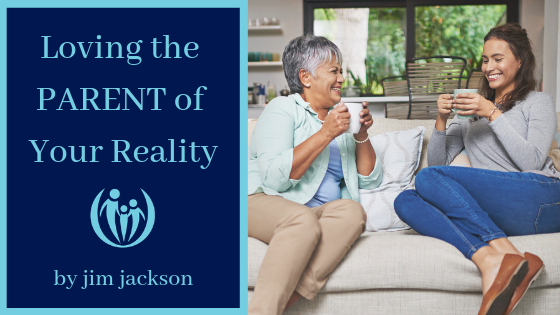 For many adults, there is buried hurt and resentment in the relationship they have with their parents; wounds leftover from younger days, yesterday, or even today! Left to fester, these wounds grow ever more painful and resistant to healing. The answer is both simple and difficult. Be strong in your foundation, and be sure your parents get the message “you are safe with me” from you. Help them know you believe they are capable human beings and have gifts that are a blessing to both the world and your children! Establish clear communication and boundaries about what your parents are responsible for and what they are not responsible for. The way we relate to our parents is usually built on generations of both healthy and unhealthy patterns. 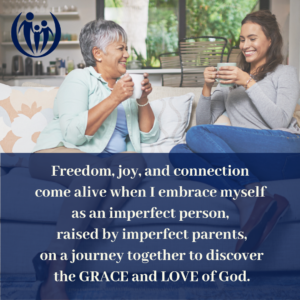 We all bring the beliefs and habits that have been in place since the day our parents first welcomed us into their home – and since their parents welcomed them – and so on. It’s not the answer we want to hear, but for some people, getting through the baggage from the past usually takes quite a bit of determination. The “unhealthy stuff” is often exposed when you begin to see in your parents all the things you wish were different about them. Along with shaking your head, you may quietly complain to others. It is common to vacillate between talking to your parents about your concerns (and getting in trouble for it) or zipping your lips in the name of respect while wounds deepen. In the hours or days leading up to seeing Gramma and Grandpa, the kids figure out that something is wrong. Maybe you’re more anxious or crabby than usual. Or maybe you even do or say hurtful things to your kids; maybe even things your parents once said to you. And the cycle continues – unless the cycle is broken by believing and acting differently. This is not just about getting along with your parents, but about starting a new trajectory for generations to come! 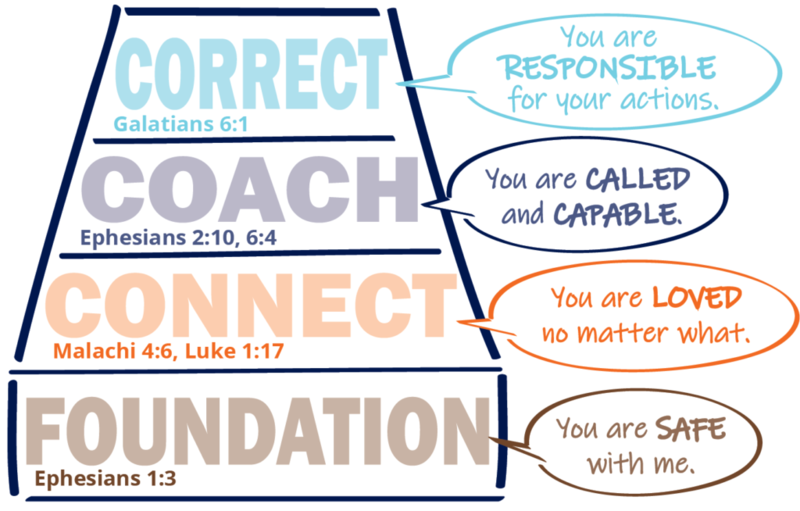 Foundation building involves understanding your own baggage and learning to bring God’s grace and truth to play – right in the middle of the mess. Through prayer, new learning, and help from others (including professionals) you can learn to identify and call out some of the hurtful beliefs from your youth. Once you start working on this you can replace those beliefs with God’s grace and truth for yourself. This will enable you to start making more graceful decisions and statements both about your parents and to them. You see, the truth is that your parents mostly did the best they knew how to do – which sometimes was good and sometimes was not. It is important to note that even if you don’t have a healthy attachment to your parents, you can still attain this as an adult by learning to accept the things about your parents that won’t change, forgive the ways your parents may have hurt you, and to learn to appreciate the many things they did well. If you can say these phrases with confidence in your voice and not spite, your parents will start to notice. These expressions will likely be met with some uncomfortable feelings and even resistance, but if you can stay calm and follow through with whatever you’re working on, your parents will begin to respect the different approaches. This won’t magically change things all at once. But, with a “two-steps-forward and one-step- back” sort of process, you’ll learn that when you can forgive, accept, and appreciate, you do your part to bring healing into the relationship. You can love your parents no matter what, and see the good intentions and capability beneath the surface of their sometimes challenging responses. This is heavy and complicated stuff and we plan to write more about it. If you have a story about how you’ve learned to forgive, accept and appreciate your parents, please share. Your input will guide us when we write more about this in early 2019. And as always, may God’s grace and truth guide your parenting journey. Struggling with generational anger? Download our FREE in-depth ebook Helping Kids With Anger. It will provide thoughtful insights and creative ideas to help both you and your child.